Welcome to Northern Ireland, the beautiful land of warm, Ulster hospitality and a tasty cider in all the local pubs. 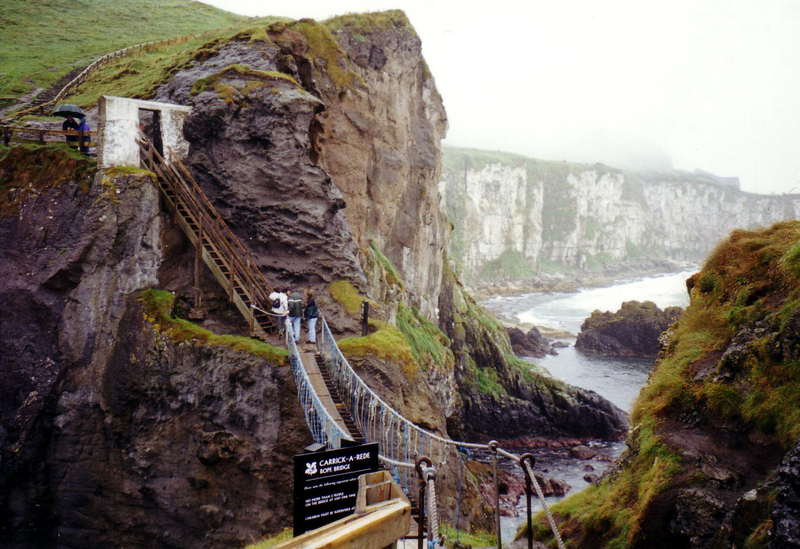 Carrick-a-rede bridge back in 1999. It seems a little safer – I think – since they added more rope. Aside from the beautiful scenery and the friendly people you meet all over, there’s also a wonderful, contemporary composer named Ian Wilson. Getting into this, I knew none of his music and I knew nothing about him, but hey – he’s from Northern Ireland and I didn’t know any composers from there. I love the fact that I found a contemporary composer though because we need to support continued classical music which means new music needs to be written. His music, I’ve discovered, is most definitely new. It’s not like anything I’ve heard before though there are twinges of Pierre Boulez in here for sure. The first thing I listened to of his was a violin solo that pretty much also doubles as a play. It’s about an hour long and though I skipped around, I was rather intrigued. It’s as if the violin soloist, Ioana Petcu-Colan, takes part in a more visual performance than simply a musical performance where she stands still and just plays along with an orchestra. While this is accompanied, she reveals her emotions and her struggles both in person and via the violin. Take a look. Don’t worry about watching the whole thing, though by all means, please do if you’d like. Look around the set – yes, the set – in which the soloist performs. Start with the first few minutes, then skip about 8-10 minutes ahead and watch. At about 11-1/2 to 12 minutes in, you’ll see images and video projected on the wall. Later on, she sits down with a drink and even has some time with no music at all. John Cage, anyone? There are times where you’ll feel relaxed, others when you’ll feel agitated. Regardless, the emotion experienced on stage is expressed through the notes on the violin. It’s very different from anything I’ve seen before. Here’s another video I found of one of his music performances. It’s a piece called The Handsomest Drowned Man in the World. OK. Um. Honestly? I think it’s kind of weird, but that’s OK. I’m allowed to think that – and so are you. You’re also allowed to think it’s totally cool. It’s a quartet of musicians accompanying spoken prose. It’s performed in a small, intimate setting which is great, even though it’s rather different. But maybe that’s the point, right? Watch it though and tell me what you think. Art is anything you can get away with. I love it for that very reason. It can come from you. Just you. It can be whatever you want it to be. I like Ian Wilson because, despite any qualities I think are weird because of my more conservative taste in music, he’s still writing music. He’s just, perhaps, thinking more openly and not limiting himself to just the musicians. He’s not confining himself to only the sound an instrument can make, but is allowing outside influences, or additional forms of media, to join in the conversation. I can’t help but admire such bravery. To learn more about Ian Wilson and his music and to watch more of his videos, please visit his website. Next time we head a bit south to Ireland. See you there! 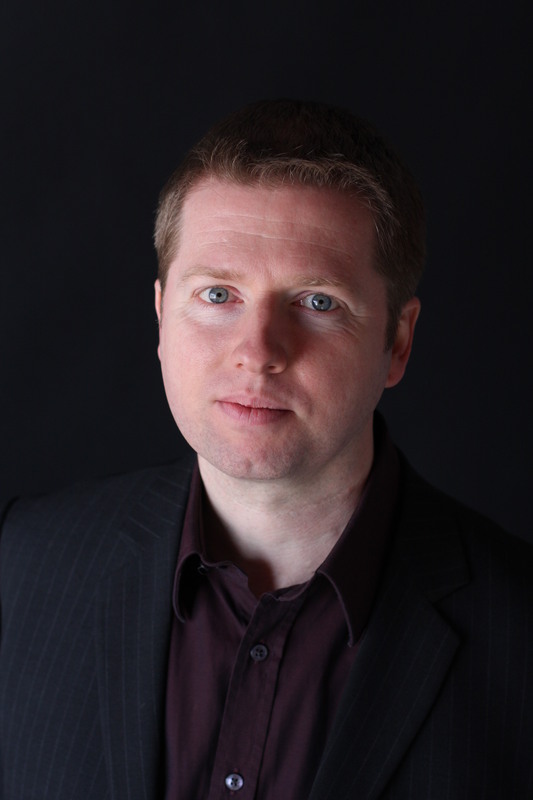 Tags: Classical Music, Composer, Contemporary music, Ian Wilson, Northern Ireland, Passport, UK. Bookmark the permalink.